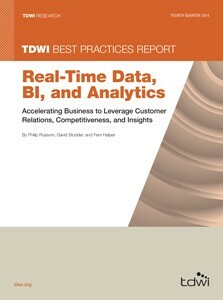 I came across some interesting findings in the latest TDWI Research Paper, “Real-Time Data, BI and Analytics Accelerating Business to Leverage Customer Relations, Competitiveness, and Insights,” by analysts Philip Russom, David Stoddler and Fern Halper. In April 2014, TDWI invited BI professionals in its database to complete an Internet-based survey. They also received respondents from TDWI web pages, newsletters, and publications. They excluded academic and vendor employee respondents. The core data sample for this report was derived from the resulting responses of 365 respondents. TDWI Best Practices Reports Series is designed to educate technical and business professionals about new business intelligence technologies, concepts, or approaches that address a significant problem or issue. This report educates organizations worldwide how and why they should accelerate their business operations and insights into real time. 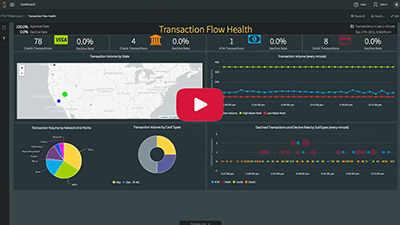 A number of real-world use cases are now established in which real-time techniques help grow customer accounts, achieve operational excellence, and keep pace with competitors.